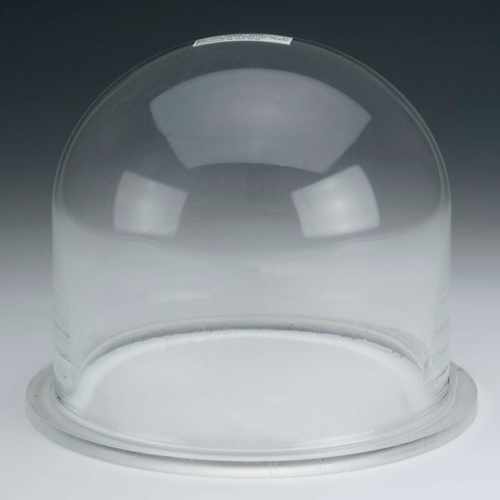 Made of the highest grade plastic, the bell jar is used on a vacuum table. The bottoms are ground smooth for a tight vacuum seal on the rubber pad. The 12" x 12" bell jar has handles on the side for easy handling. Made in Taiwan.